The famous boxer will always be remembered as the greatest of all time. 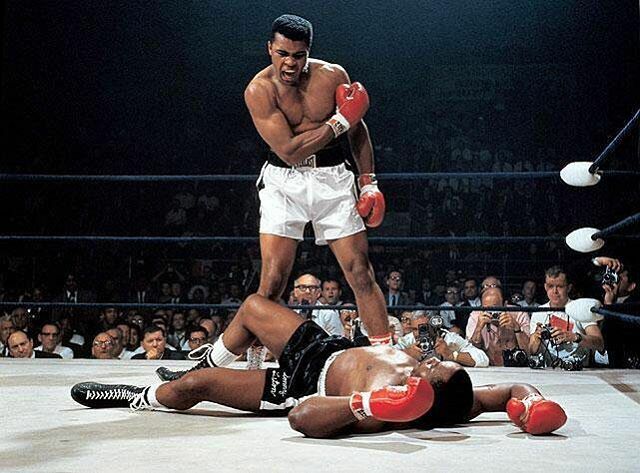 Muhammad Ali did not just float like a butterfly and sting like a bee, he also lost three and a half prime years of his career while fighting the draft as doggedly as he did Sonny Liston. He controversially converted to Islam at a time when most Americans did not even know what that was (but they knew they did not like it) and even raised the roof by way of talking a suicidal jumper off of one. The man did a lot. With his fists and with his mouth. Born as Cassius Clay, his mesmerizing ability to fight with wars with his words could best be described as flow years before hip hop was even a thing. And his talent was so titanic that, well, Titanic up and plagiarized the self-described “king of the world.” Hell, the real life super hero even negotiated the release of American hostages in Iraq! On June 3, Ali passed away due to respiratory issues, surrounded by family at a Phoenix area hospital, at the age of 74. Here are some of the most memorable words spoken and shouted by this incredible fighter and activist. RIP, GOAT.